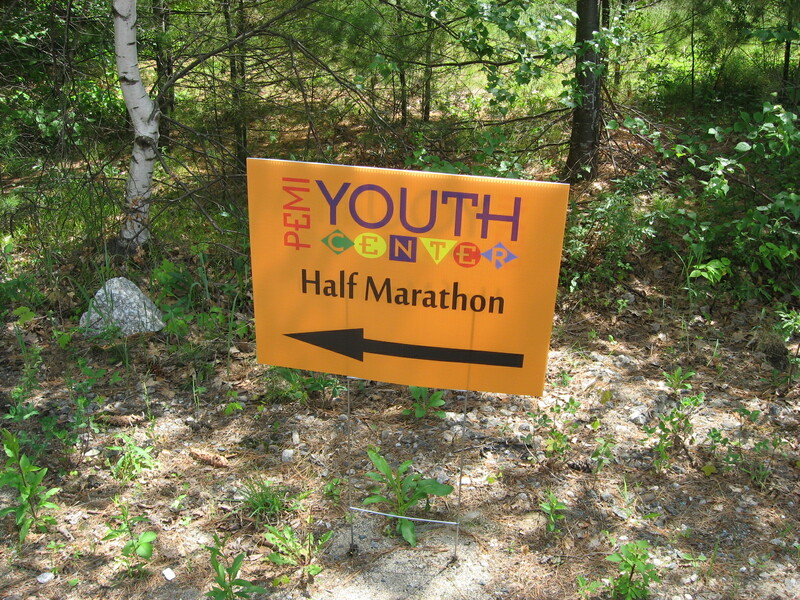 Whether you are looking for a starting line banner, a finish line banner, or signs that go along the way- we can help! At the right we have a sign that is printed on coroplast, which is often called plastic cardboard. A metal H stake slides into the flutes of the material, and jabs into the ground to hold the sign. These are great for telling racers which way to go at corners, to advise of upcoming water stations, and to mark the distance travelled. We also do a lot of banners that go across the street at road races, both at the start and finish. 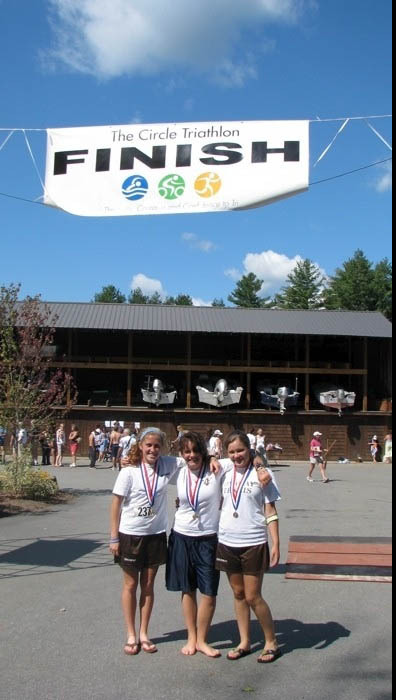 Here’s a picture of a banner we made for a race last summer. Across the Stret Banners present special challenges. Usually you need to get permission from the town to put them up, and they have a steel cable across the street in a specific place. Often the local utility does the installation, and they may charge for doing that. The banner hangs on the cable with D rings, which are like a carabiner. The bottom of the banner is held taught with rope, and we like to see a bungee cord on the bottom so the banner can move out of the way of the wind. We use a special material for across the street banners that is heavy and strong. We re-enforce the corners too. These banners are usually large, and they need to be very tough. They are also good to -20 degrees, so you can use them in winter just about everywhere.